Think Quick Response (QR) codes are just for advertising products or transferring addresses and contact information between smartphones? Well, it turns out they can also be used to prevent drug counterfeiting. Researchers from Seoul National University and Kyung Hee University in Korea have developed a QR-code made from a polymer device that can be used for preventing drug counterfeiting. They describe their device in a recent issue of Advanced Materials. Information or data like drug ingredients and expiration dates can be stored on QR-coded devices. Such on-dose authentication (ODA) technology is useful for drug identification, monitoring, and preventing drug counterfeiting. More importantly, these devices can be used to prevent wrong or expired ingredients from being used when drugs are delivered to repackaging companies or distributors in either raw or bulk forms. A typical smartphone with a QR Code reader application can be used to scan the code and authenticate the drug by determining its formulation. Current anti-counterfeiting measures include printed marks or radio frequency optical tags but these can be imitated, and are insufficient to authenticate ingredients. The researchers describe their QR-coded device as a microtaggant, is microscopic and traceable particle that’s added to the drug for authentication. The microtaggant is included inside an individual tablet/capsule the during drug formation process (more about its biocompatibility later). Its small micrometer size means it cannot be easily copied or replaced with fake ones according to researchers. The researchers encoded polymer microtaggant is made using an optofluidic maskless lithography system, consisting of a microfluidic device and an optical lithography system. A patterned UV light is projected onto the microfluidic channel which contains a photocurable polymer solution (poly(ethylene glycol) dimethacrylate). A fluorescent acrylic monomer (methacryloxyethyl thiocarbamoyl rhodamine B) was also added to the polymer solution so that the QR Code pattern has a vivid red colour (stands out from the background when a digital detector is used). The researchers report that up to 7089 characters can be encoded in a single QR Code. The types of data that can be stored include: binary, numeric only, alphanumeric, multiple languages. To test their microtaggant, the researchers placed 10 microtaggants inside a single drug capsule. They broke open capsule dissolved the drug power in water, washing the microtaggants. The microtaggants were placed under a fluorescence microscope and decoded by reading the microscope image with a smartphone (the process is shown in the image below). The name of the researches’ lab, along with the lot number, production and expiration dates were all identified from the image of the QR Code. As for biocompatibility (since the microtaggant is meant to be swallowed with the capsule): the polymer solution itself has been reported to be biocompatible. If anything, it seems the fluorescent dye is the more important concern. The researchers assume that if a single capsule contains 10 microtaggants, and a person takes 3 capsules daily then he/she will ingest about 220 micrograms of fluorescent dye in a year. 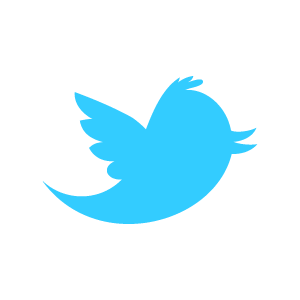 This is considerably lower than the LD50 (887 milligram per kilogram in mouse), according to the team. 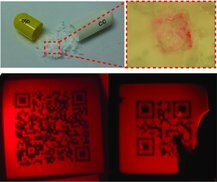 From this paper it sounds like the QR-coded microtaggant is good approach for preventing drug counterfeiting. Assuming that manufacturers and distributors will all have access to the fluorescent microscopes needed to verify the code, the decoding process seems quick and straight forward enough to be feasible. But to me it seems like a big and potentially challenging step would be to ensure/convince consumers that drugs containing such microtaggants can be safety ingested and safer to than current anti-counterfeiting alternatives. ← Is asparagus a hangover cure?